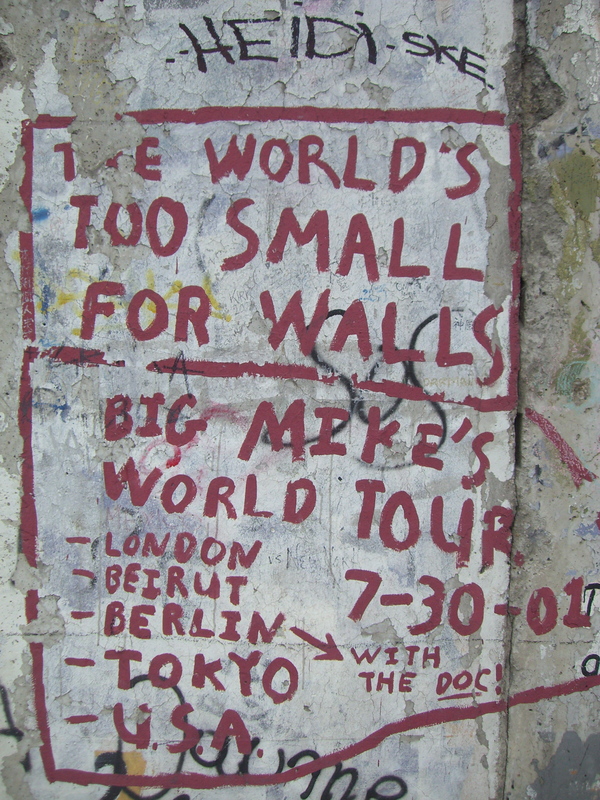 Back in 2007, I went on a Uni trip to Berlin. I didn’t really know what to expect and was absolutely blown away by the city. It was honestly one of the best trips of my life – I think we saw and did almost everything there is to see and do. And there really is something for everyone here…whether you want to visit the upmarket galleries or see the peeling graffiti on the Berlin wall. I found this particular artwork about halfway down the wall, and I think it is a beautifully honest and succinct statement, summing up what everyone thinks but no one’s brave enough to say.